Our approach is to treat every client as unique. We offer total custom website design from start to finish. We take a consultative approach to your needs. Our goal is to give you a web site that you will be proud of, will meet your goals and objectives and keep your visitors and customers coming back. Registration is under $15 a year. IMPORTANT: We suggest that you do not let anyone else register your domain name for you, even as part of a web design package. The person registering the domain name is technically the owner of the name and you run the risk of losing control of your domain name at some point. 2. Consult with a website designer to determine what your needs are and what your hosting requirements will be based on the web site you want designed. We offer a no cost, no-obligation consultation and quote. 3. 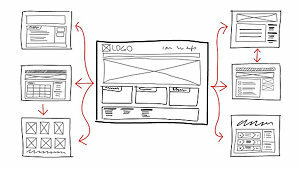 Work with your website designer each step of the way to speed up the process. We provide you with an actual virtual site during the design process so you can see what the actual site will look like to visitors and test how it will function. 4. Once your website design is complete, we can help you select a hosting company that provides the specifications that your site requires to function properly. We offer hosting plans and we work with several 3rd party providers to insure that you have the best options available. In order for us to be successful for you we have a very simple and straight forward approach as to how we will work with you. The process begins after you contact us. Client Review, Testing, Loading to Webserver (1-3 Days)"Go Live"
If you have been considering the possibilities of a web site for your business or organization, then you should contact us to discuss your needs. We provide free quotes. So call 817-991-9978!